Look what finally decided to pop up! I guess the baby really wants to go trick or treating. Or just tricking! 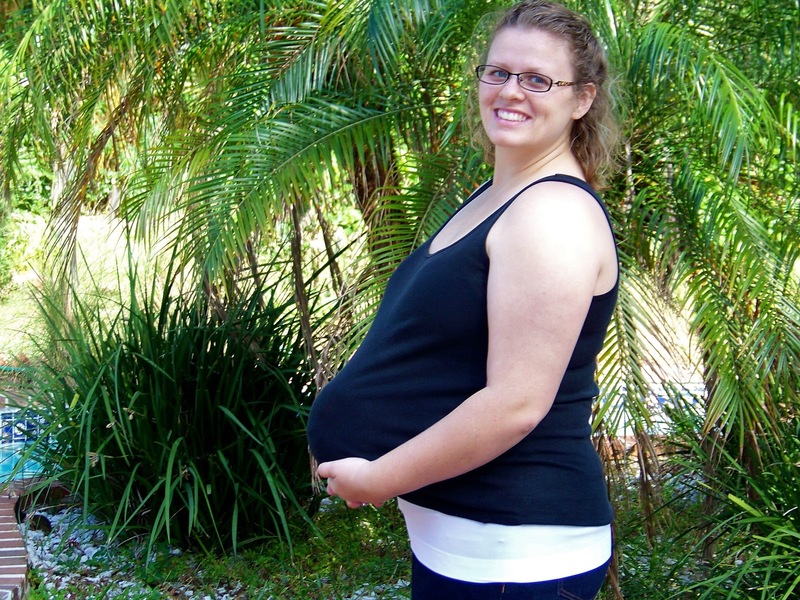 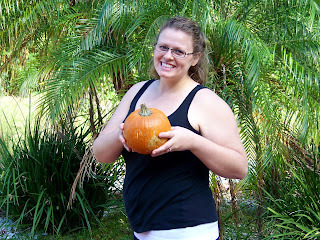 We're still waiting for a bump so I joked that we should stick a pumpkin under my shirt and then people would actually think I am pregnant. Nate liked that idea more than I thought he would which resulted in a photo shoot with a pumpkin up my shirt. 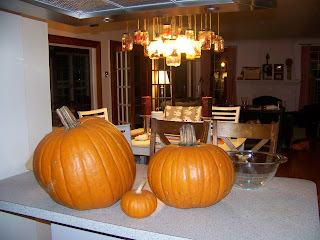 This all started when we went to go get pumpkins this weekend. 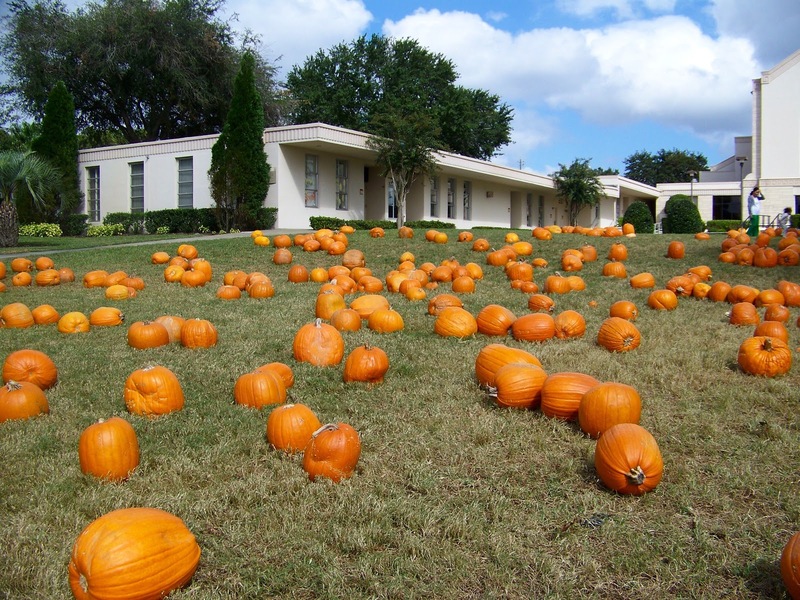 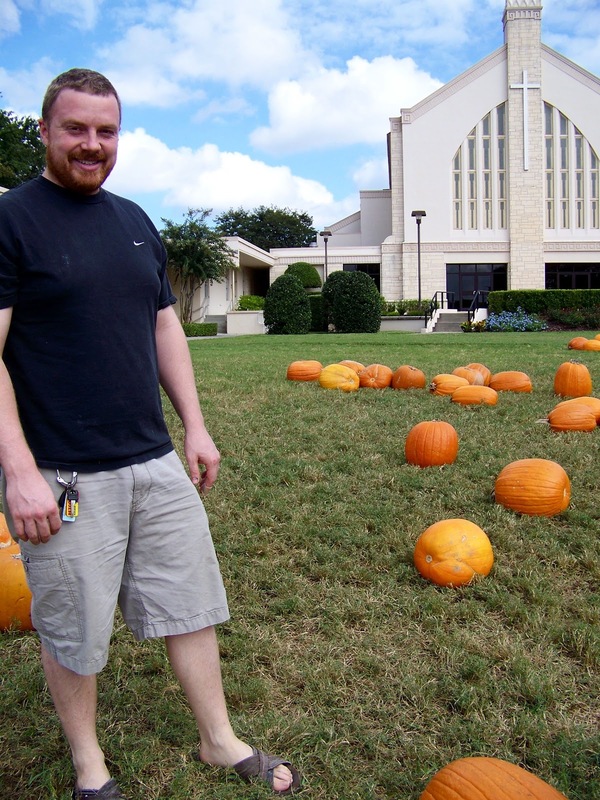 A local church near one of the lakes is on a bit of a hill and covers the lawn with pumpkins. We spent awhile roaming around looking for the best pumpkins. 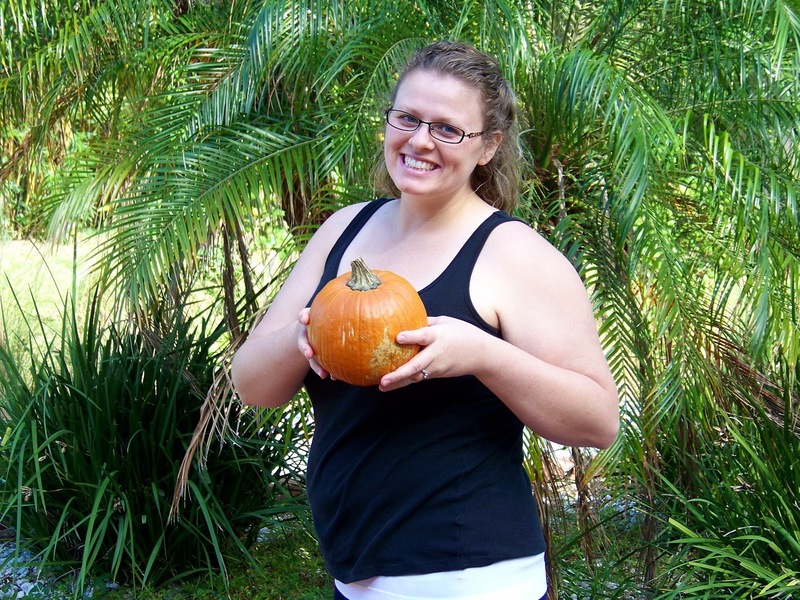 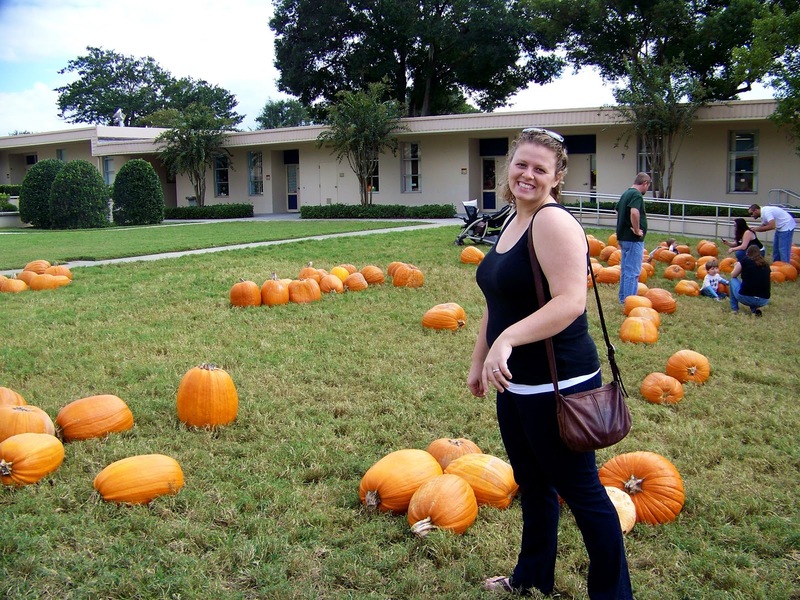 Apparently, picking out pumpkins makes me make silly faces/poses. 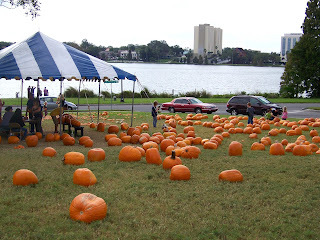 Despite the multitude of pumpkins, it took as a bit to find what we were looking for (I wanted to get on big, one medium and one tiny pumpkin) but soon we were heading home so I could stick a pumpkin up my shirt (I refused to do so in public). Then last night we got down to business and carved the two bigger pumpkins. When we had all the guts scooped out, we snagged a family pic before we actually carved the fronts. 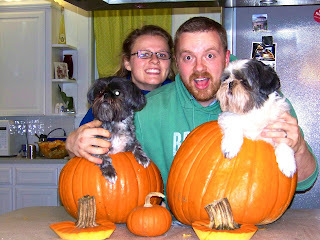 Madeline was such a good girl and just sat in the pumpkin but Zoe required a lot of convincing to sit. Nate's face is his attempt at getting the dogs to look at the camera by exclaiming "what's that?" 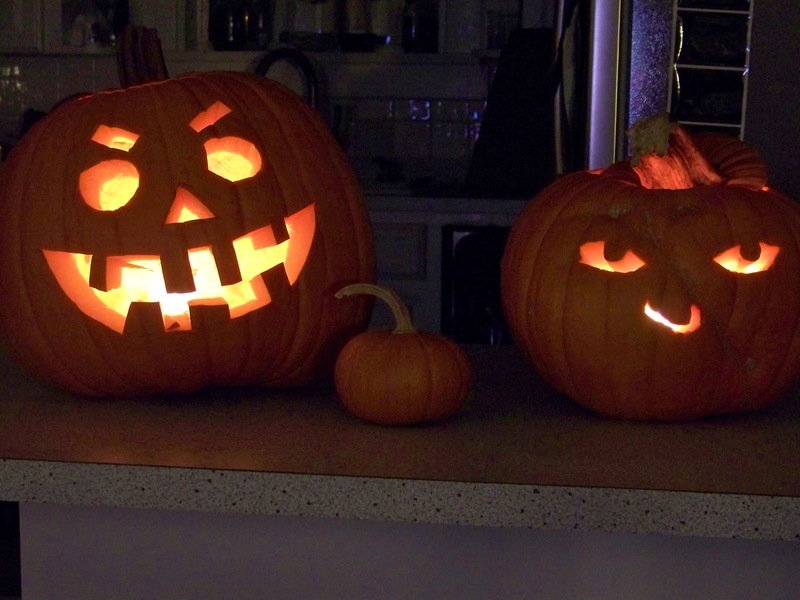 but I love how he just looks super excited for Halloween. 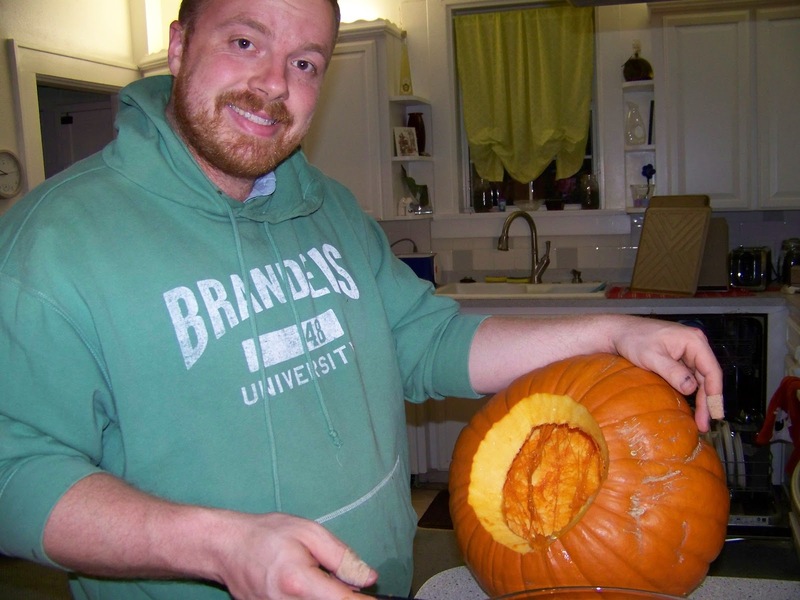 Nate decided to go more classic with his pumpkin with a slight creepy twist (as he said, it's all in the eyebrows) while I went for a pumpkin that will stare at you creepily. 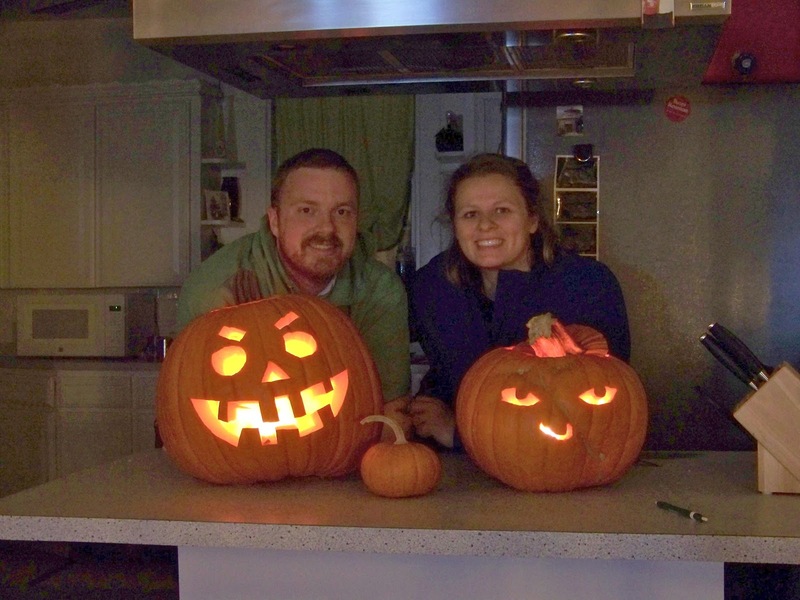 We hope everyone has a super fun and safe Halloween!